Elegant bridal weaved satin ribbon style headband with Swarovski crystal flower accents on silver plating. A lovely addition to any wedding hairstyle. Simply secure the headpiece by tieind the ribbons underneath and securing with bobby pins. Size: (Width) 1.9 cm, (Design length) 24 cm, (Total length including ribbon) 67 cm. 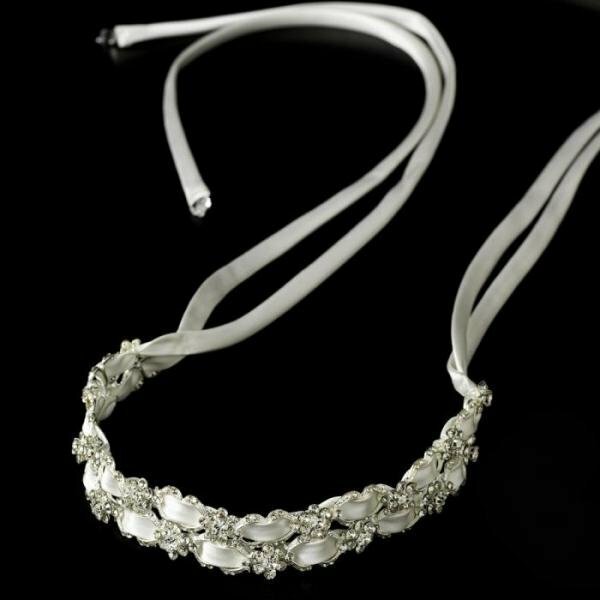 Available in silver with White or Ivory ribbon, please specify your colour choice when ordering.